Not only will your HVAC unit do its job more efficiently once you have it cleaned, but it will also provide you with much cleaner air. Once that dust builds up on your filters, it starts restricting the airflow. This means that your HVAC system has to work for longer periods of time in order to achieve the desired temperature. However, the harder your system works, the sooner its components will stop failing and the higher the energy consumption. In addition, dirty filters can no longer trap pollen, pet dander or any other allergens and this will decrease the quality of air inside your home. We can make all these problems go away by giving your system a thorough cleaning. Air circulation helps dust reach all those hard to reach places, including ductwork as well as the working components of your HVAC unit. Layers upon layers of dust will make the components lose their efficiency and can easily cause the unit to overheat and break down much sooner than it normally would. Our team is here to help you restore your system back to its usual self and save you money on extensive repairs. When your system fails to provide any heating or cooling in a particular area, this usually means that a zone damper is stuck in a closed position. 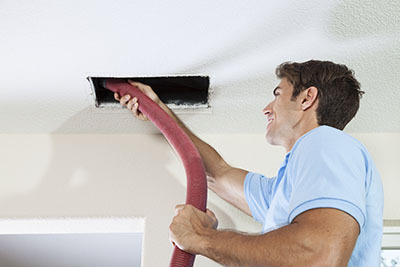 Another reason behind the obstructed airflow is a pile of debris in your ductwork after a remodeling project. 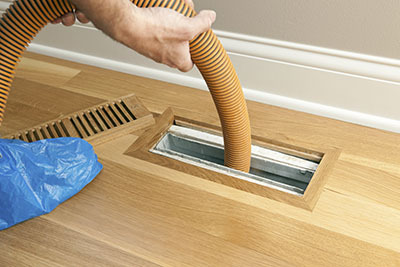 No matter what’s causing the problem, our experts will fix it by cleaning and sanitizing the ducts. If you’d like to spend less on utility bills and improve the quality of air in your home, do it by making a single phone call - our team is ready and willing to provide you with these and many other services.